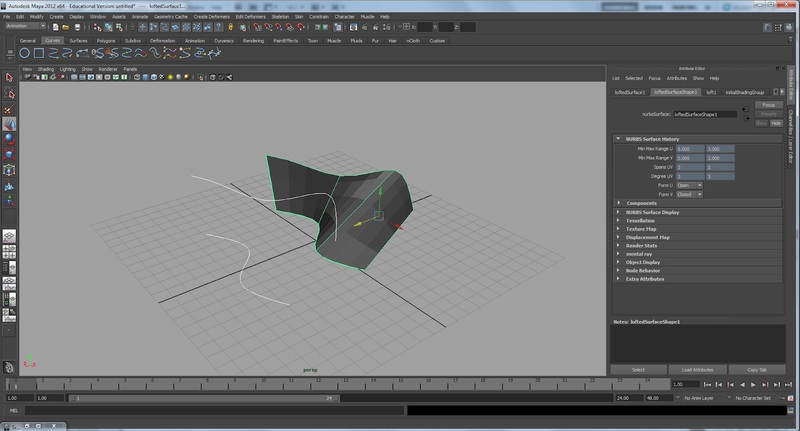 This is the second part to the Rhino to Maya overview, however unless you want to use the loft command in python, you can continue reading to checkout how the Loft tool works. The first thing to notice after lofting between two curves is the ability to change the geometry after lofting. If you select either of the curves, you can move them around and it will update your lofted geometry. 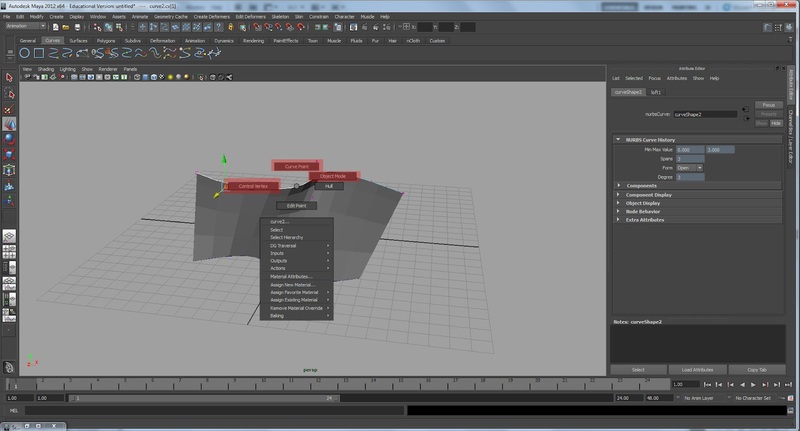 Building on that, you can right click and hold over the curve, and select the control vertices. 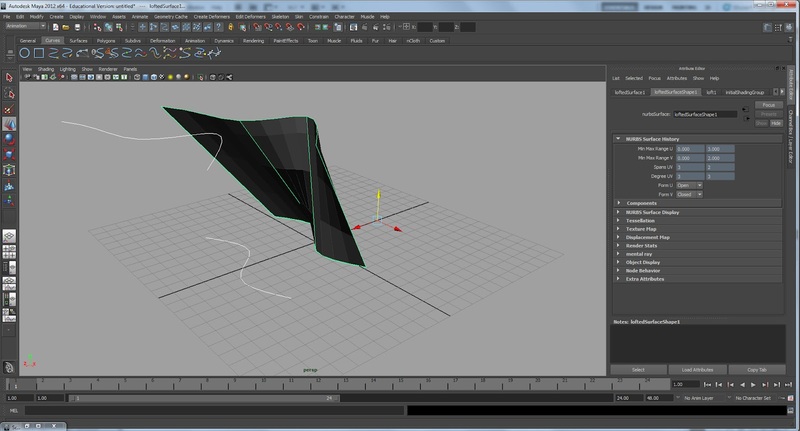 Again, you can manipulate the curves vertices and it will update your lofted form. 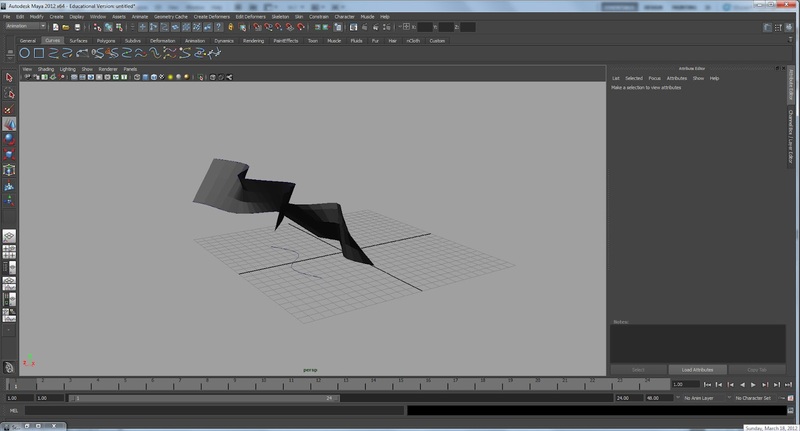 So after manipulating your original curves, select the surface itself and move it around. Notice how the surface is allowed to move anywhere and the curves stay in place. This is what I like about the Loft tool so much, now even after you move your surface, it is still referencing the curves you had used to create it. If you go to the curve and manipulate it, the surface will update wherever it is. 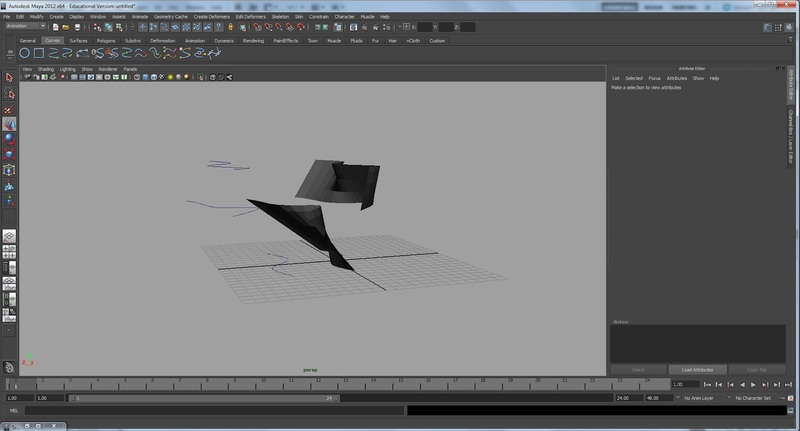 Now try creating a third curve and moving it to the top. 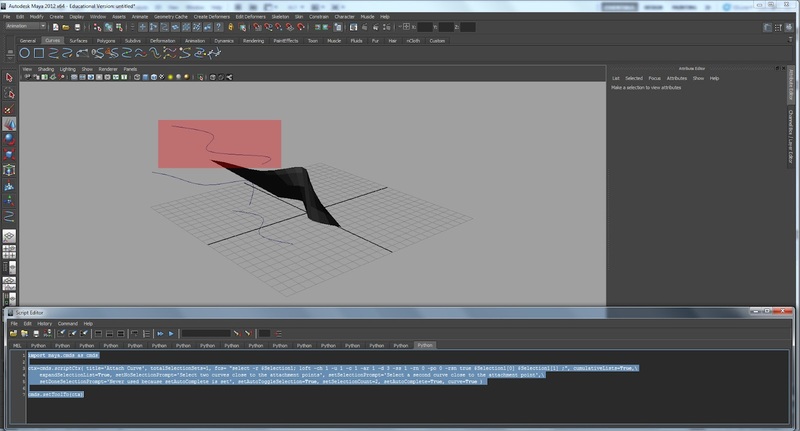 Run the script again and select the middle curve and the top curve as your inputs. Now you have two surfaces, one which used the bottom and middle curve, and one which used the middle and top curve. 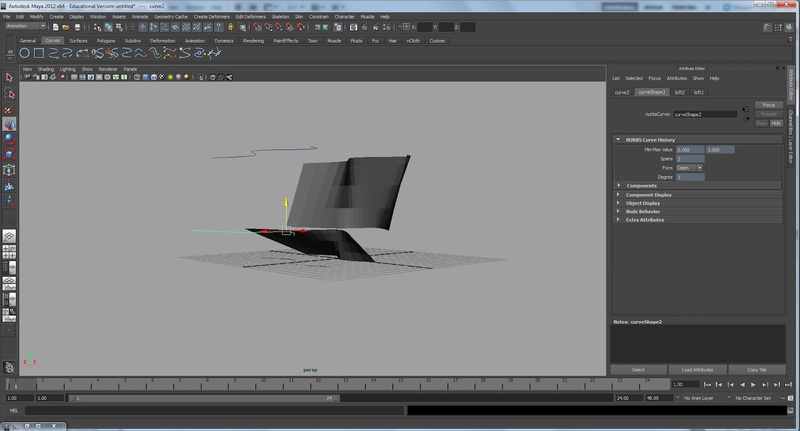 The same rules apply here, you can move the created surface anywhere you want. The rules still apply to the new and old lofted surface. 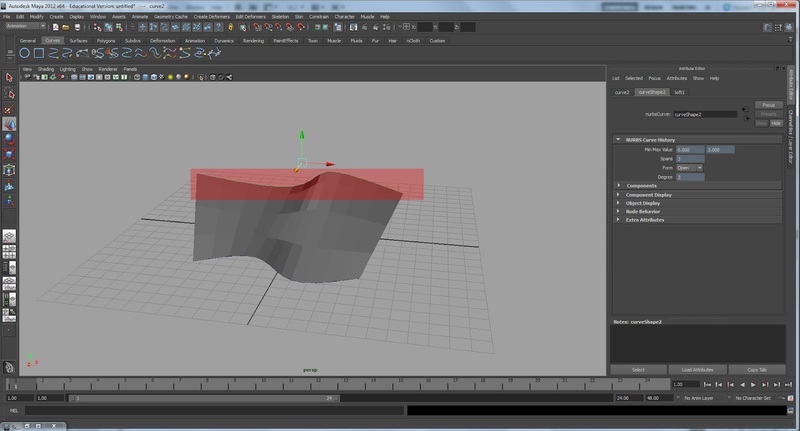 If you move the top curve the new surface will update, and even more interesting is when you move your middle curve both surfaces update. This is as far as I will go. I hope this is some new knowledge for someone to take advantage of. From these examples you can imagine how the following are all true: You can manipulate the surface itself, ie, changing control vertices to give it extra curves, and it will still update based on the curve that created it. If you create multiple surfaces that are joined, the first surface will act as a parent so if you move the first one all the surfaces can move, but all the children can move independently as well. I will be making a few more of these Rhino to Maya tutorials, but I may just end up showing just Maya as I am currently using it for some research projects. class="post-template-default single single-post postid-403 single-format-standard samba_theme samba_left_nav samba_left_align samba_responsive wpb-js-composer js-comp-ver-4.12 vc_responsive"